GyanOne values quality. Especially when it is tempered with personal experience. This is why we believe that some of the best MBA Admissions blogs are those which feature the personal stories of applicants. To be sure, we have featured dozens of such stories here itself on this blog. However, we have also always believed that more contributions only strengthen the overall narrative. 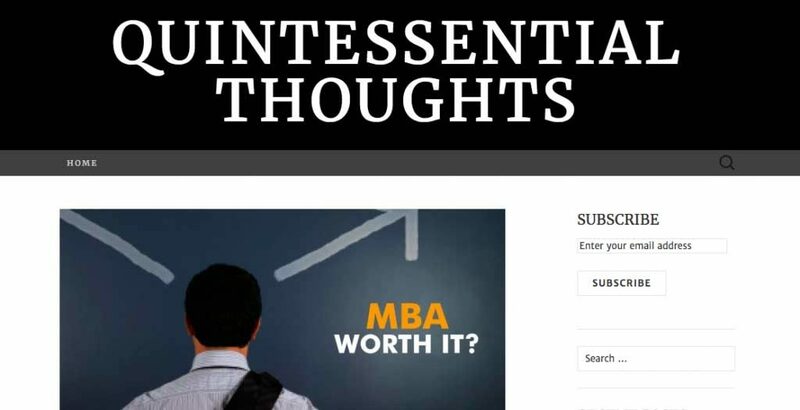 This is why we decided to launch a new initiative of reviewing more than 100 blogs on various topics related to the GMAT, MBA Admissions, and life at different top global B-schools. After this process, we have found Quintessential thoughts – a blog written by Anubhav Shrivastava, to be an excellent resource in this context. Anubhav writes not just about admissions, but also transformational life experiences that he has had. He is an accomplished professional, having led multiple key marketing and social initiatives as a student too. 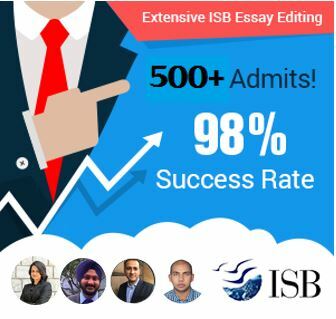 In his latest (as at the time of this writing) post, Anubhav blogs on his journey to ISB, why he thought of an MBA, and why he decided to apply to ISB. Anubhav’s blog, quintessential thoughts, is as pictured below. 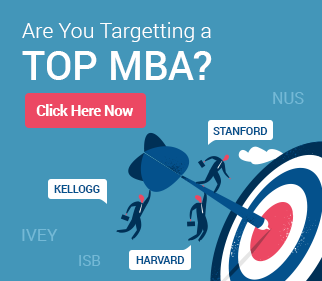 As experts on the MBA Admissions, the members of the GyanOne team are committed to bringing multiple perspectives to applicants looking at top MBA programs. Anubhav’s perspectives are our latest effort on this front. These are not our perspectives, but those of an applicant himself – he discusses his own thought process, objectives, and challenges as he went about choosing a B-school, applying to it, and then preparing for and making it through the admissions process. 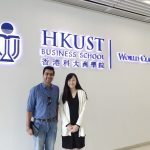 We hope Anubhav keeps up this effort and brings to the readers of his blog many more perspectives on his profession, life at B-school, and life after B-school in the future. We would certainly be keen to look at his views.